Yesterday, the Xoom 2 and the Xoom 2 Media Edition became official entries to the tablet market. Both feature impressive specs and niche-oriented bonus features (like surround sound and splash-proof screens) but we've been in dire need of a few hands-on videos for us to truly judge their awesomeness. Well, the wait is over: here are three hands on-videos to give you a good impression of what the devices feel like in-hand. 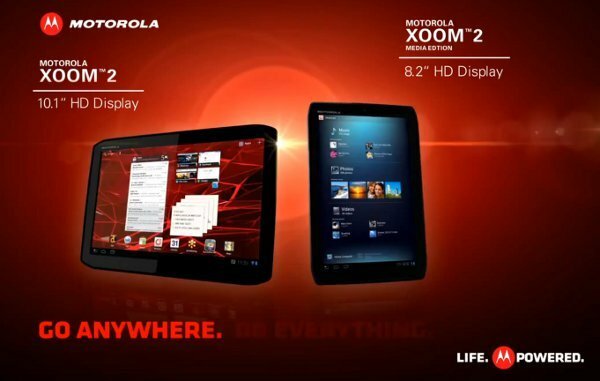 Looks like Motorola is really going after the home theater crowd with the Xoom 2 Media Edition. As you know by now, it features surround sound speakers, a small subwoofer, and an impressive range of viewing angles, making this the kind of tablet you could port around as well as place on a desk for optimal movie-watching funtimes. Both tablets are said to be soon update-able to Android Ice Cream Sandwich. Overall, we like what we see. What do you think?